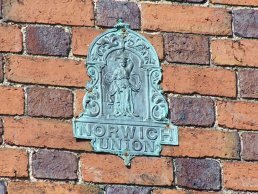 In the past, having buildings and contents insurance was a privilege afforded only by the "well off" and, as a form of advertising and as a sign of status, plaques were supplied by the Insurance companies to show who was supplying the insurance for a particular building. 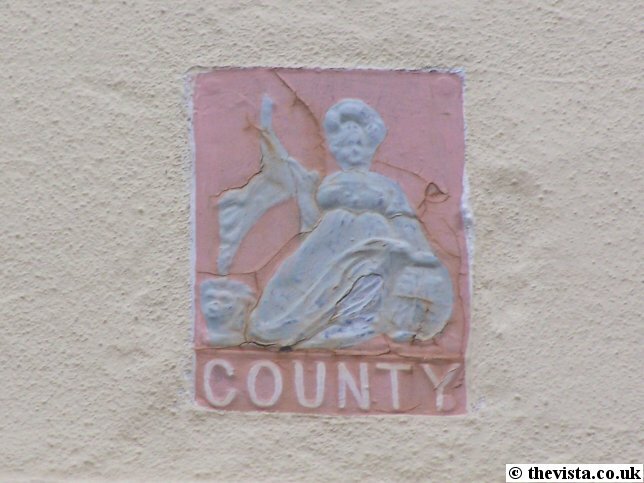 Several of these plaques survive around the town of Ross-on-Wye. 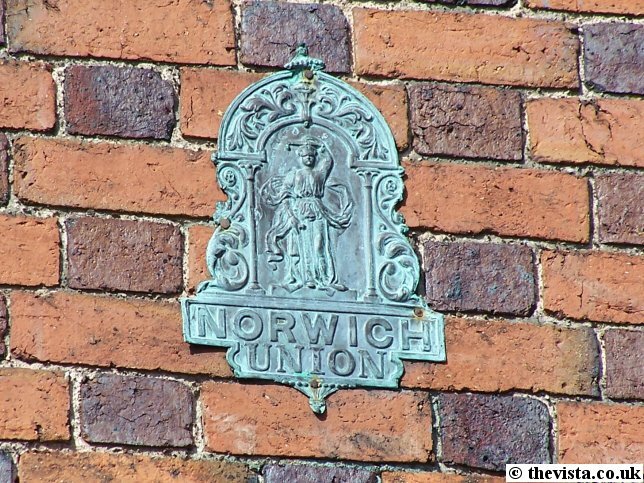 In Station Street and Edde Cross Street, there are plaques indicating that the buildings were insured by Norwich Union. 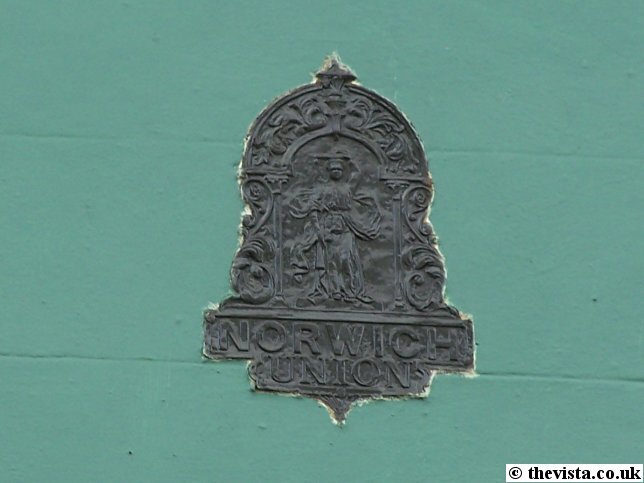 On the High Street, is this magnificent reminder that this building was insured by Sun Insurance (policy 878314) in 1813 (apparently for £2,000) when it was a "Grocers, Candle makers and Soap makers" along with a brew house. This building was then the Sun Tavern presumably as an extension of the brew house. 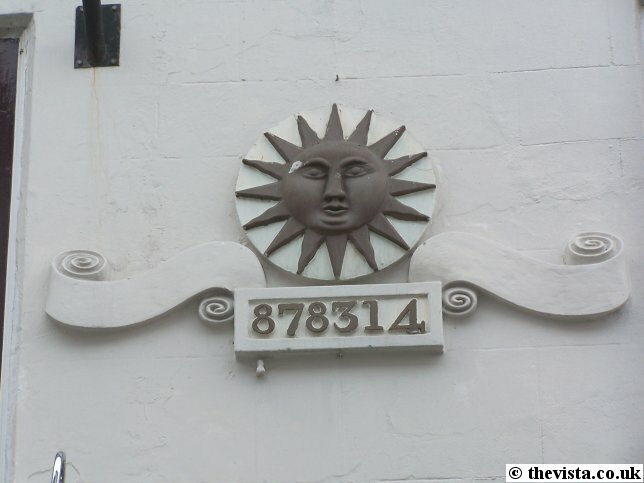 The Tavern was opened in 1867, by Mr. E. Phipps, and closed in 1914, and was possibly named after the sun logo fixed to the outside of the building. 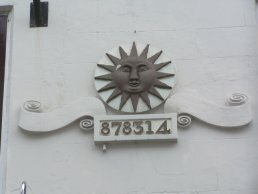 This is a Sun Insurance plaque (no. 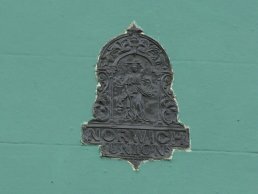 625259) that can be seen on Clairville House on Copse Cross Street. 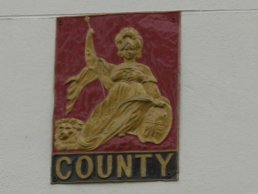 In Church Street several plaques showing "County" which was presumably for "County Insurance". During this year (2008) the building on which the plaques are located has been renovated. 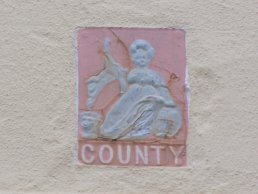 The plaques were removed and have been repainted and replaced.